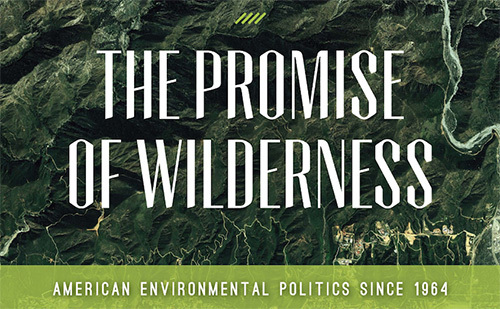 November 18, 2014 — James Morton Turner, an associate professor of environmental studies at Wellesley College, is the author of The Promise of Wilderness: American Environmental Politics Since 1964. In that year, Congress overwhelmingly voted to pass the Wilderness Act, creating a process for the designation of wilderness areas on federal land across the country. In the first part of a two-part interview with Turner, he discussed the politics of public lands in the United States, how the wilderness movement played a role in the development of environmentalism, and how the Wilderness Act and other restrictions on public lands became a target for a political backlash. Part 2 of the interview begins with a discussion of what appeared to be the Wilderness Society’s adoption in the 1970s of a more defensive and less expansionist posture. Was this a result of moving away from grassroots advocacy or more a reflection of broader political trends in the United States? The interview comes to address the question of what lessons from the past the environmental movement can learn, both in terms of movement building and in terms of climate change politics.